Are you fed up with spending your summers stacking shelves and working on the checkouts at your local supermarket? Spend your summer doing something different. 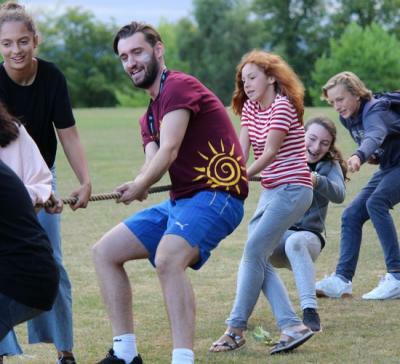 We have a range of positions available at our summer camps from Dorm & Activity Leaders (like a Camp Counsellor role in the USA), Sports Coaches, Health Team and Management roles. Every day is different at camp! Whether you’re in your first or final year of university, it’s important to develop your CV ready for when you apply for graduate jobs. Working at a summer camp will give you tonnes of skills that your future employers will love. From time management to problem solving and communication to adaptability, there will be so many opportunities to put these skills to practice and be in situations you can talk about in future job interviews – that time you had planned a sports day for the entire camp (up to 160 campers) and the weather suddenly changed so you needed to adapt your sports day with just ten minutes notice. Being a student is expensive and there is a chance you will finish the academic year with a bit of debt. You’ll earn no less than £400 per week working with us and you can easily come to camp and not spend a penny as we provide three meals a day and accommodation. There are no fees or expenses for you to pay either! Working at our camps also comes with other rewards – you will be making a difference to our campers lives, inspiring them, being role models. There will be occasions where you will be comforting campers who are homesick on their first few days but balling their eyes out when it is time to return home, all thanks to the amazing time yourself and your team have provided them with! What are you waiting for? Have a read through our website and if you like the sound of joining the XUK Camps family this summer, complete our application form and we hope to meet you soon!